Goodly: Can You Ever Send Too Much Email? Does a rise in unsubscribes mean you should cut email frequency? Does a decline in opens and clicks? Standard email metrics can deceive, unless you allow for the "frequency math effect," according to the company. To understand the frequency math effect, you must assess unsubscribes, opens and clicks both per message and cumulatively over a sending period. Looking at only the per-message metrics can mislead you to think you're sending too much email. Only by knowing both your per-message and cumulative metrics can you know whether frequency has an overall net-positive or net-negative effect. For example, suppose you double frequency to four from two times a week. 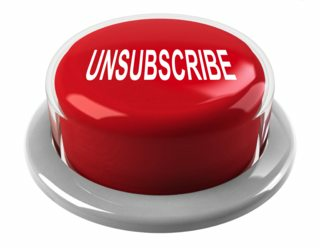 You might see unsubscribes rise, and opens and clicks decline from one message to the next. No. When you send email frequently, you should expect more unsubscribes—but, in the long run, more opens and clicks, as well.